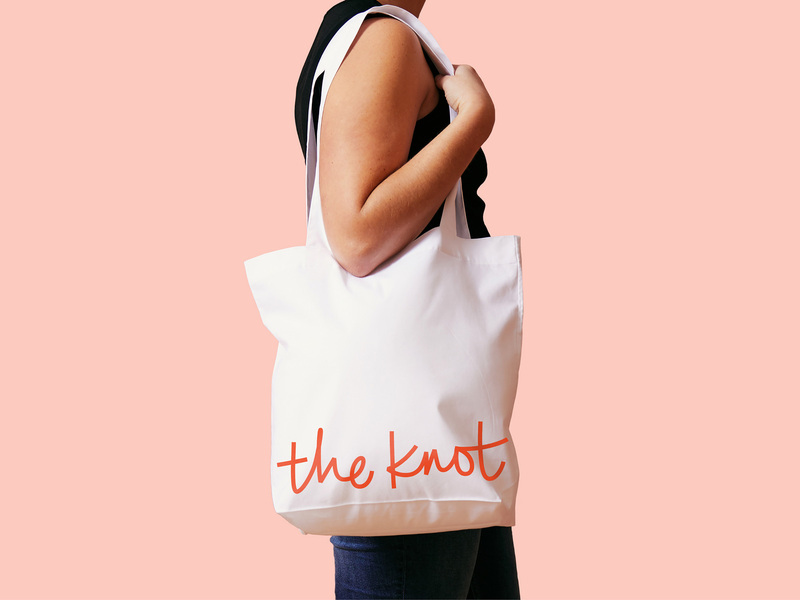 Established in 1996, The Knot is a wedding marketplace that provides planning tools, access to vendors, registry services, and oodles of articles for anyone looking to get married. And survive. As part of XO Group, The Knot also produces a quarterly magazine, has published a number of books, and offers a couple of mobile apps. This week, The Knot introduced a new identity designed by New York, NY-based Pentagram partner Abbott Miller. The new identity centers around an energetic, informal signature rendered in a vibrant, passionate red. 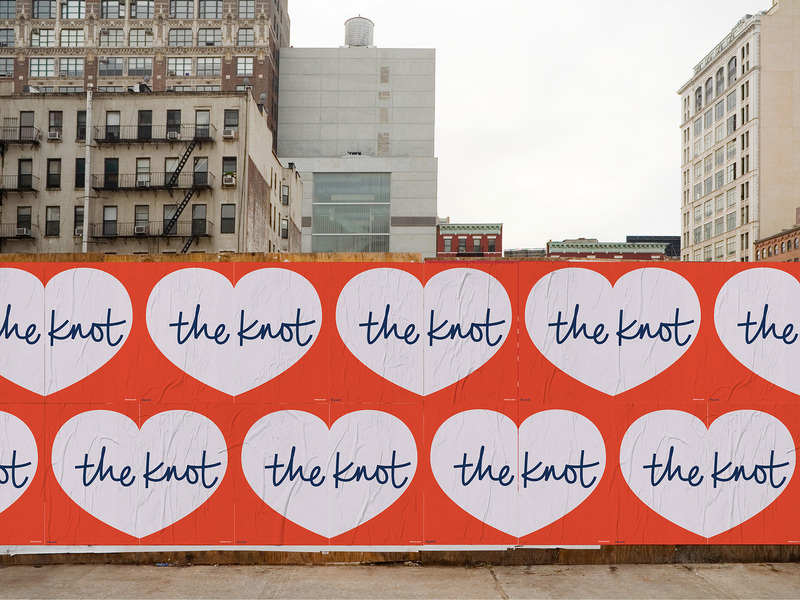 The new look will be implemented across The Knot’s digital platforms and quarterly magazine, and launches this week in time for National Wedding Planning Day on March 1, kicking off wedding planning season. 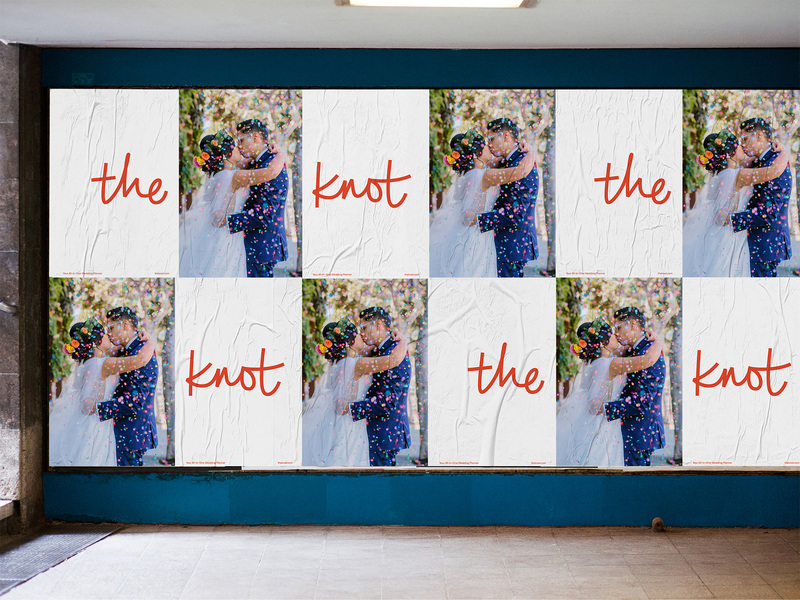 With couples of all ages and cultural traditions planning weddings that express their own style, The Knot wanted to update its branding to appeal to a wider audience and be more contemporary. 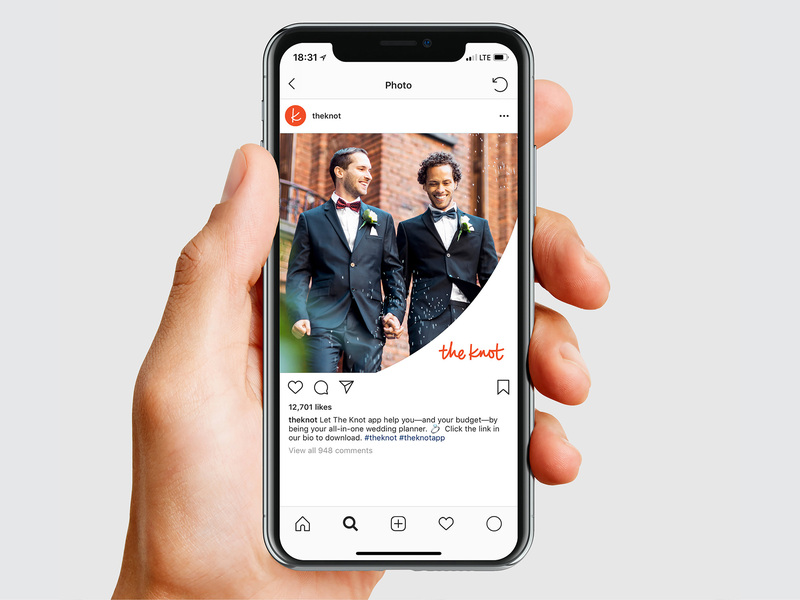 They wanted the new mark to be more informal, to convey The Knot’s mission to support all couples and their weddings, regardless of style, culture, sexual orientation, scale or budget. The gestural spontaneity of the logo reflects a sense of celebration, personal expression, and ease of use. In its playfulness, it feels fresher and more modern. The old logo was mostly fine, getting the job done in looking soft and cutesy but, between the light blue color and the lowercase approach, it looked too much like a baby-related brand more than one servicing grown-up couples. The new logo is a great evolution that keeps the quirks that made the old one recognizable — in particular the “k” — but stylized in a more sophisticated and contemporary execution with sharper edges and tighter curves. The letterforms are more confident and energetic with a new fun rhythm on the baseline that gives it a more unique look. The one letter I would question is the last “t”, which seems too wide but other than that, I like the signature-meets-bezier-curves aesthetic. Like the wordmark, the visual language has evolved to feel more inclusive. The previous identity featured a soft, pale blue (inspired by “something old, something new, something borrowed, something blue…”) that is a traditional signifier of wedding-related imagery. The rebrand introduces a striking red that is assertive and passionate. The color is part of an expanded palette that opens the brand to more varied expressions across its different platforms. A supporting vocabulary of graphic elements was derived from the loops and arcs of The Knot signature. The repertoire of forms isolates enlarged details of the wordmark―cropped strokes, ligatures and ascenders of letterforms―for use as background shapes or frames for photography, creating a cohesive experience across the brand. Primary typography is set in Tisa Sans Pro, a modern sans serif that sets off the handwritten wordmark. Even though it’s explained in detail there aren’t much applications to see the loops and arcs taken from the logo in action. 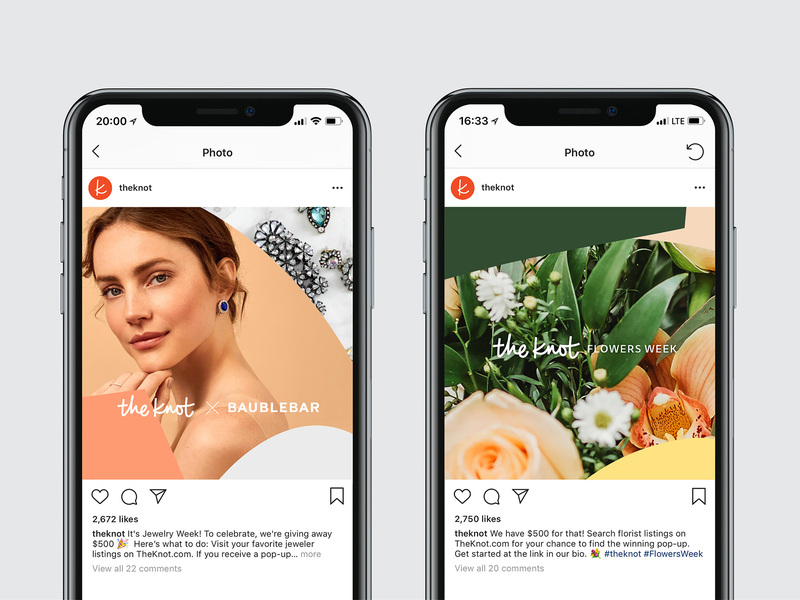 The social media graphics are the closest and they do show some potential in mixing and matching irregular shapes to make some interesting compositions of blocks of color and imagery. As cloying as they may be, I also like the heart posters (although the off-centeredness makes me want to scoot things to the left). Overall, this is a great redesign that really opens up the identity from the single-note approach of the old logo that was all softness and angels to something more colorful and bold shedding some of the stereotypes of the wedding industry. Thanks to J.D. Reeves for the tip.